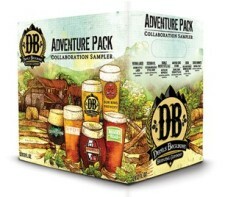 (Lexington, VA) – Devils Backbone Brewing Company is excited to announce that in January, it will debut its annual Adventure Pack Collaboration Sampler. For the 2016 pack, Devils Backbone reached out to five brewing friends to help them craft a collaboration adventure including: the hop-centric NoDa Brewing Company from Charlotte, NC; a leader in the craft cream ale category,Sun King Brewery from Indianapolis, IN; Surly Brewing Company from Minneapolis, MN, which Beer Advocate Magazine named “Best Brewery in America;” Thunder Road Brewing Company, making its northern hemisphere debut all the way from the land down under,Australia; and the brewing brothers of Wicked Weed from Asheville, NC. The 12 pack will hit retail shelves in mid-January and will be available throughout Virginia, District of Columbia, Maryland, North Carolina and West Virginia. The Adventure Pack Collaboration Sampler will feature a range of styles and showcase aspects from both Devils Backbone and each of the visiting breweries. “We really enjoy the collaboration process. Creatively, as brewers we get to learn from each other from recipe formulation to working with new ingredients and brewing techniques. 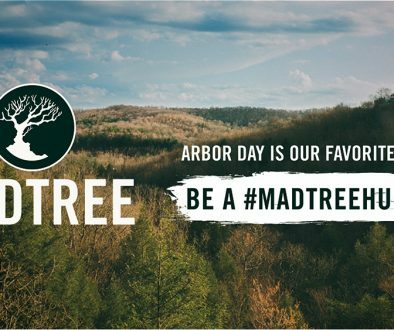 It also allows us the opportunity to introduce beer lovers to highly sought after breweries they might otherwise not have access to due to each brewery’s distribution area,” says Brewmaster Jason Oliver. Over the past few months, the collaboration brewers visited the Outpost Brewery, Devils Backbone production facility, to craft their beers with the DB brewing team. After each brew day, a new beer was added to the tanks to make its way into the collaboration sampler. “We had a great time brewing with Walt and Luke Dickinson from Wicked Weed, Chad Henderson from NoDa, Todd Haug from Surly, Clay Robinson from Sun King Brewery and Marcus Cox from Thunder Road. In the end, we wound up with five incredible beers including the highest and lowest ABV beers we’ve brewed to date at Outpost,” says Lead Brewer Nate Olewine. Devils Backbone Brewing Company: Vienna Lager(5.2% ABV; 18 IBU) is amber in color with a subtle toasted caramel note and a smooth malty finish. 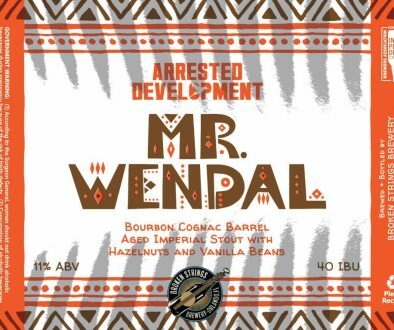 Brewed using a combination of Northern Brewer and Saaz hops with Vienna, Pilsen, Dark Munich and Caramel malts and allowing five weeks for the lagering process and the flavors to fully develop. NoDa Brewing Company: Session IPL (3.8% ABV; 60 IBU) a session India-style pale lager. This highly sessionable, hoppy, crisp beer was brewed with Vienna malts, oats and a combination of Northern Brewer, Simcoe and Azacca hops. Sun King Brewing Company: Another State of Kind (6.8% ABV; 68 IBU) a double dank cream-style ale. Pale in color and loaded with Simcoe and Columbus hops, this beer is an unlikely marriage of a cream ale and a double IPA. Surly Brewing Company: Risen (8.4% ABV; 50 IBU) a coffee and oak, double brown ale. This lavish brown ale was brewed with over 100 pounds of locally roasted coffee and was rested on oak for a toasted finish with extra complexity. Thunder Road Brewing Company: Double Pacific Ale (8.4% ABV; 50 IBU) a strong Australian-style ale. Pacific ale is an emerging style that uses fruiter hops grown in Australia and New Zealand, for this US brew the team used Aussie galaxy hops and a combination of malts for smooth, tropical notes. Devils Backbone is the largest craft brewery in Virginia and is inspired by the great brewing traditions of Europe and the ingenuity of modern craft brewing. Devils Backbone has earned numerous accolades for its beers, exceling in the art of lager brewing in an ale dominated industry. The brewing team has garnered medals from the World Beer Cup, Australian International Beer Awards, Virginia Craft Beer Fest and the Great American Beer Festival®including national titles for GABF 2014 Mid-Sized Brewing Company and Brew Team of the Year, 2013 Small Brewing Company and Small Brewing Company Brewer of the Year and 2012 Small Brewpub and Small Brewpub Brewer of the Year. In 2008, founders Steve Crandall and his wife Heidi, inspired by a skiing trip where they had their first taste of German beer, opened the doors to Devils Backbone Brewing Company in the heartland of Virginia. Basecamp Brewpub was an instant regional success and with so many beer lovers asking where they could purchase the brews, they broke ground on the Outpost in 2011. Anticipated to produce 10,000 barrels of beer in the first ten years of operation, the Outpost reached 45,000 barrels in the first three years and recently completed an additional expansion to reach 250,000 barrels. 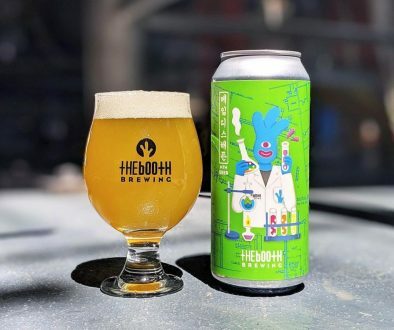 About: NoDa Brewing Company, located in Charlotte, NC, is “The Beer on Everyone’s Lips.” Currently brewing six year-round beers and multiple seasonal offerings, NoDa Brewing is not afraid to push boundaries while maintaining the best quality craft beer. Enjoy draft beer, take-home growlers and 4-pack cans at the on-site taproom. Sun King Brewing Company is the brainchild of Dave Colt and Clay Robinson. With the help of family and friends – Omar Robinson, Andy Fagg and Steve Koers – the first keg of Sun King beer rolled out the door for delivery in July 2009. Now available on tap and in cans at hundreds of locations around central Indiana. Surly, It all started in Omar Ansari’s garage in 1994. He liked beer, felt it should be brewed a certain way, and had expectations of what defined good beer. The motivation for the big idea was the fact that Ansari, along with current (and soon to be) beer lovers were growing “surly” because they couldn’t find enough good beer. A space was procured in 2005, and Ansari and head brewer Todd Haug put the finishing touches on their big idea and all systems were finally ‘go’: Surly sold its first keg on February 2, 2006, and has never looked back. Now, seven years later, they’ve had unbelievable growth and an expanding family of beers. Thunder Road Brewing Co is located in the inner city suburb of Brunswick, in Melbourne, Australia. Their brewing philosophy is Beers Without Borders. This means wherever they produce their beers, either at their own Australian brewery or in brewing collaborations around the globe, they create innovative, unique Australian inspired craft beers combining the best of traditional brewing expertise with challenging new brewing methods. They always use exciting new Aussie hops to create unique character beers of the very highest quality. These guys have only competed twice in any brewery awards and each time have won the 2015 and 2014 Australian International Beer Awards Champion Trophy -Medium Australian Brewery. Wicked Weed Brewing is based in Asheville, North Carolina. Opened in December 2012, the original brewpub (91 Biltmore) consistently hosts 25+ beers on tap including hop-forward, West Coast-style ales, open fermented Belgians, and barrel-aged beers. With the opening of the second location, The Funkatorium, in October 2013, Wicked Weed is striving to become one of the leading producers of barrel-aged sour and wild beers in the Southeastern United States. Wicked Weed Brewing was awarded a gold medal for both 100% Brettanomyces Serenity in 2013 and Mompara Honey Ale in 2014 at the Great American Beer Festival. Wicked Weed most recently opened 50-barrel production brewery that will allow for wider distribution in the Southeast.